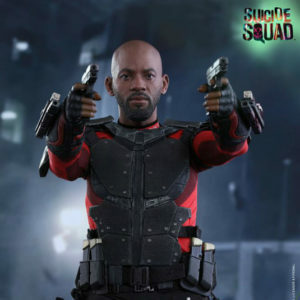 “So that’s it, huh? 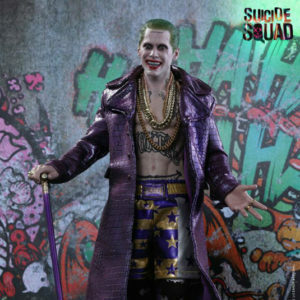 We’re the patsies. 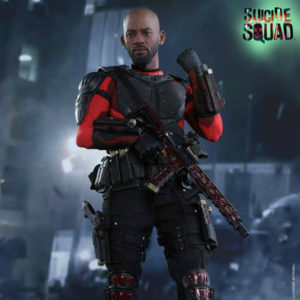 We’re some kind of suicide squad. 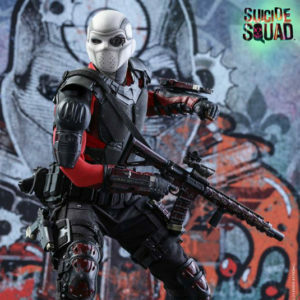 Let’s go save the world!” DC Comics’ blockbuster, Suicide Squad, has shown how a secret government agency recruits imprisoned super villains to execute dangerous black ops missions in exchange for clemency and saving the world from an unknown but powerful threat. 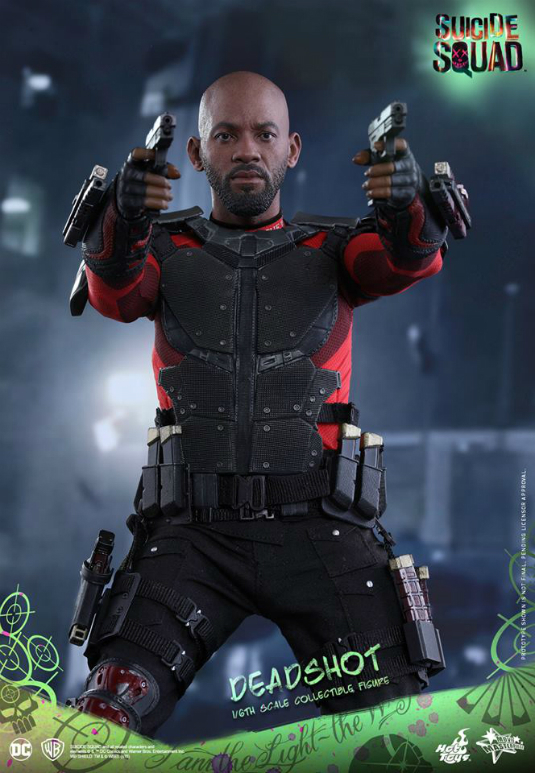 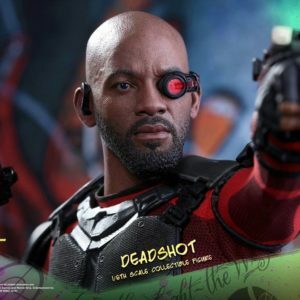 One of the highlights of the film is the widely popular and talented Will Smith taking on the role of Deadshot and today Hot Toys is pleased to officially present the 1/6th scale collectable figure of “Human Arsenal” Deadshot! 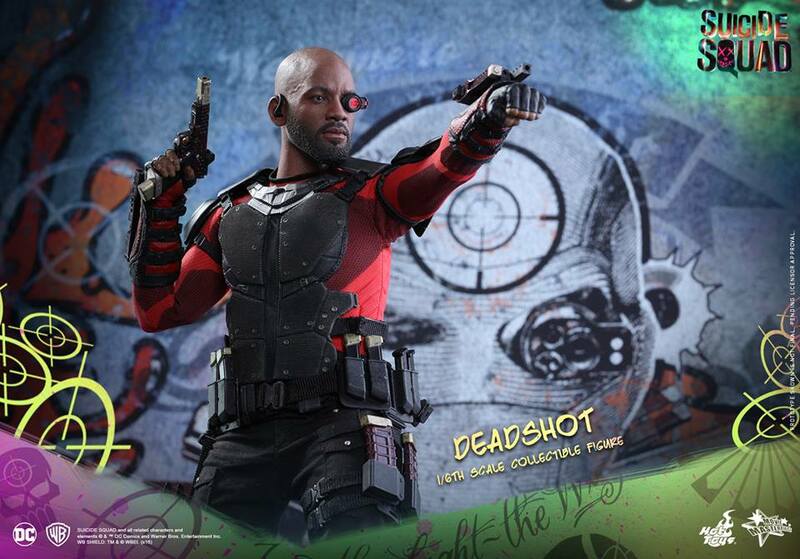 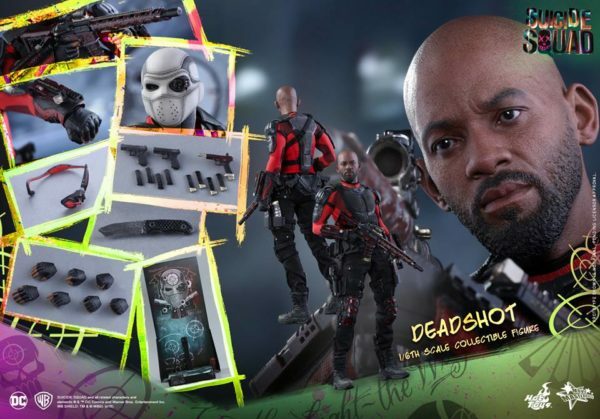 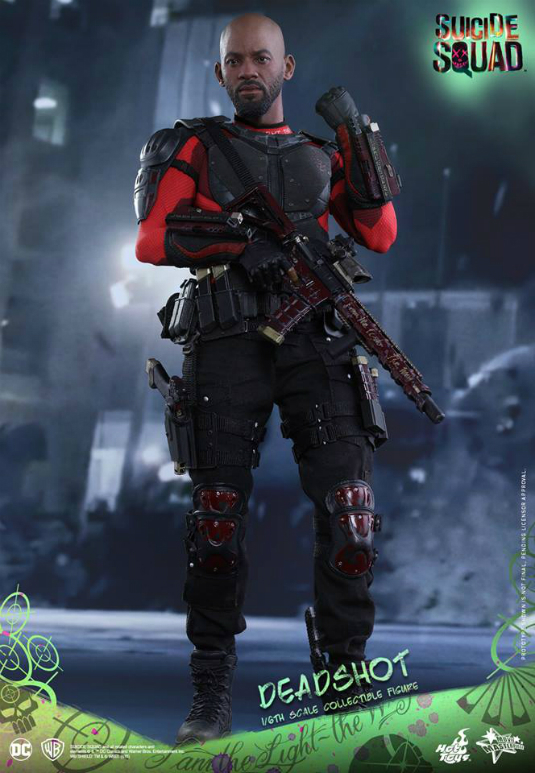 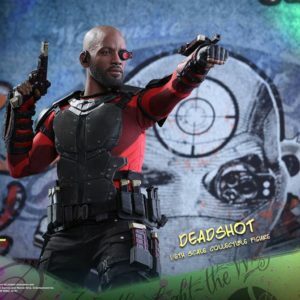 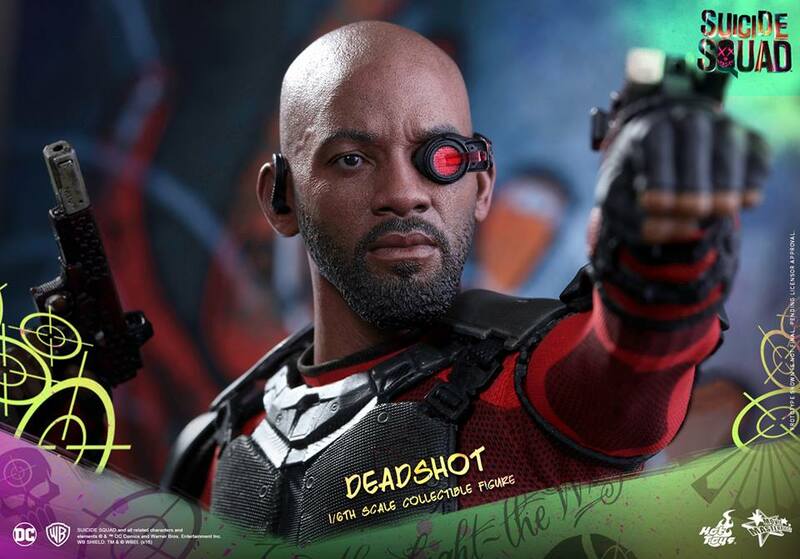 The movie-accurate collectable figure is specially crafted based on Will Smith’s image as Deadshot in the film. 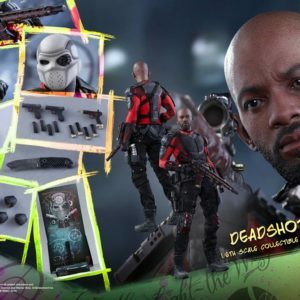 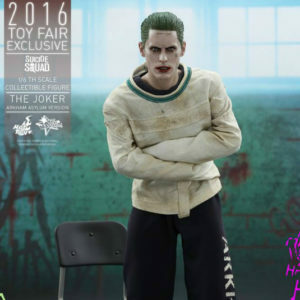 Highlight of the features are the newly developed head sculpt, interchangeable masked head with aiming device, meticulously tailored armoured costume, a selection of weapons including machine gun, pistols, dagger, and forearm-mounted guns, and a specially designed Suicide Squad themed figure stand with character backdrop. 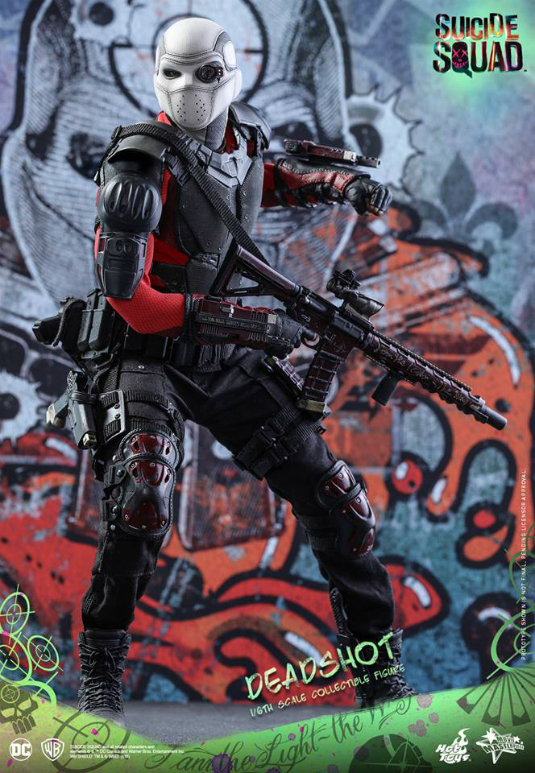 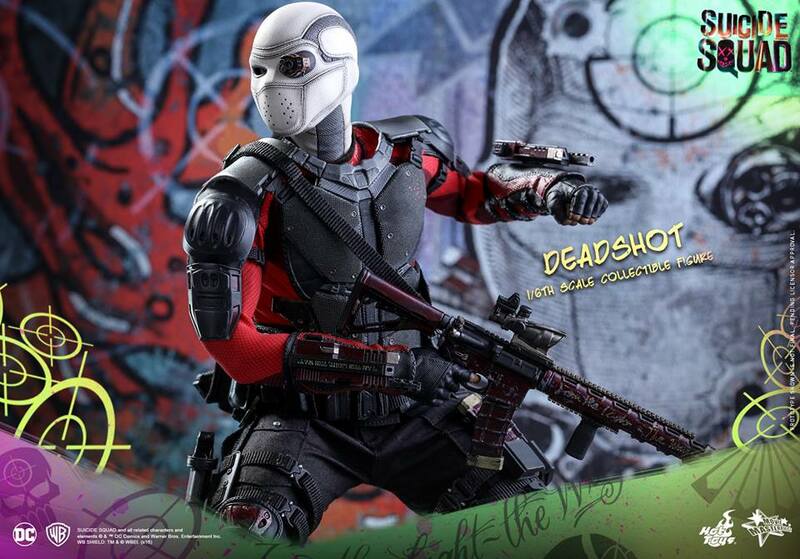 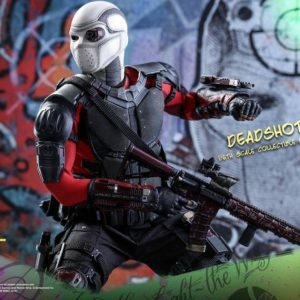 DC fans, it’s time to expand your collection with the amazing 1/6th scale Deadshot collectable figure!